mp3DirectCut is a free, lossless audio editor and recorder with extensive features for mp3 files. It's a lightweight tool designed to perform various actions such as: cut, copy, paste, change the volume, remove parts, split files, add/copy regions and more without the need to decompress your MP3 into a PCM format. This saves work, encoding time and disk space and preserves the original quality, because nothing will be re-encoded. Mp3DirectCut gives you extensive control over your MP3s: Several prelisting functions, MP3 visualization and VU meter, Easy navigation, Fading, and volume setting. Note: it's usually needed to run the installer "As Administrator". ID3v1.1 and Cue Sheet support. 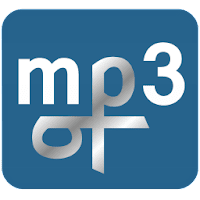 Disclaimer: Direct downloads for the lastest version of mp3DirectCut 2.23 are provided by the official software's author, we can't guarantee safety, availability or download speed. Moreover, we don't and we won't provide any pirated/illegal versions or tools. We recommend you to avoid it as these methods can harm your device. If you like the software, buy it to support the developers. (We provide software discounts for many worldwide brands).